Kaneeka & Richa both are experienced makeup artists in Delhi, Gurgaon, and NCR offering the best in makeup. We believe that every woman is beautiful – it’s just a question of bringing all that inner beauty to the fore. And we do just that through our high quality, best in class make-overs. We have a passion for making every woman look flawlessly gorgeous. 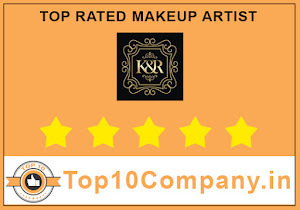 We use reputed, high quality, best in class international makeup brands & products, such as MAC, Kryolan, Urban Decay, Makeup Studio and Sephora, in our make-overs. From the smart-casual office party to the traditional engagement ceremony or the wedding and the reception and everything in-between, our services include party makeup, bridal, special celebrations (Sagan, Mehndi, Sangeet, Cocktails, etc.) and magazine shoots. Our specialties include Airbrush makeup and HD makeup. We make sure you look your glamorous best by taking care of your complete look from makeup and hair to the accessories. With a strong eye for color coordination, modern and traditional hair styles and finesse in eye and lip makeup, Kaneeka and Richa promise a unique character in all their work. Both Kaneeka and Richa have trained under renowned make-up artists including those active in the film and TV industry. They bring a personalized yet highly professional approach to their make-up which typical parlors and so-called top make-up artists who often send junior staff to do your make-ups while charging premium fees fail to provide. Kaneeka brings international exposure to the palette with her return from Canada and Kuwait. She is an MBA degree holder from Netherlands. An ex-quality controller, Richa is an M. Com & B. Ed degree holder from Dehradun and hails from Himachal Pradesh. Our many delighted clients are a testimonial to their dedication and devotion to keep you looking your beautiful best!